The chalcolithic mega-site Stolniceni: Integration and interpretation of geophysical prospecting results from an aerial perspective (after Țernă et al. 2016). 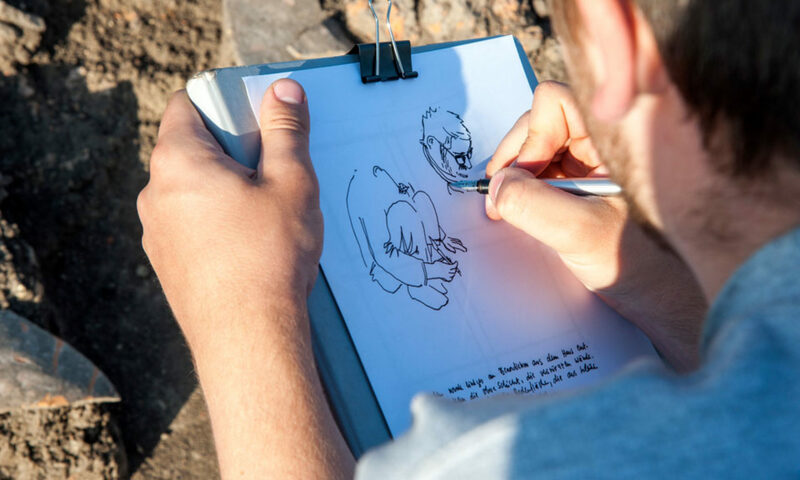 The expedition takes a team lead by Prof. Dr. Johannes Müller from the Institute for Prehistoric and Protohistoric Archaeology at Kiel University to Moldova and the Chalcolithic mega-site “Stolniceni”. The site is part of the Cucuteni–Trypillia culture which spread through south-eastern Europe in what is today the Ukraine, Moldova, and Romania between 7000-4700 years ago. This culture created the largest prehistoric settlements in Europe known today: mega-sites which likely contained up to 30,000 inhabitants and covered areas of up to 340 hectare. The coexistence of so many people requires a high level of socio-economic organisation, and the mere size of such sites raises many questions: How was the society organised? Can we see distinct social inequality in hierarchical systems, personalised leadership, or rather egalitarian structures including democratic decision-making? What did the natural environment look like and how did the humans exploit it? What nourished so many people and how was this organised? Do the sites exhibit rather simple settlement structures or are they remains of prehistoric cities with districts of artisans? Finally, for which reasons were these mega-sites abandoned? In an interdisciplinary team, scientists from Kiel and the Şcoala Antropologică Superioară in Chişinău, Moldova, are trying to uncover the history and meaning of these sites. During the summer of 2017, the fieldwork focused on ancient settlement structures close to the recent village of Stolniceni. 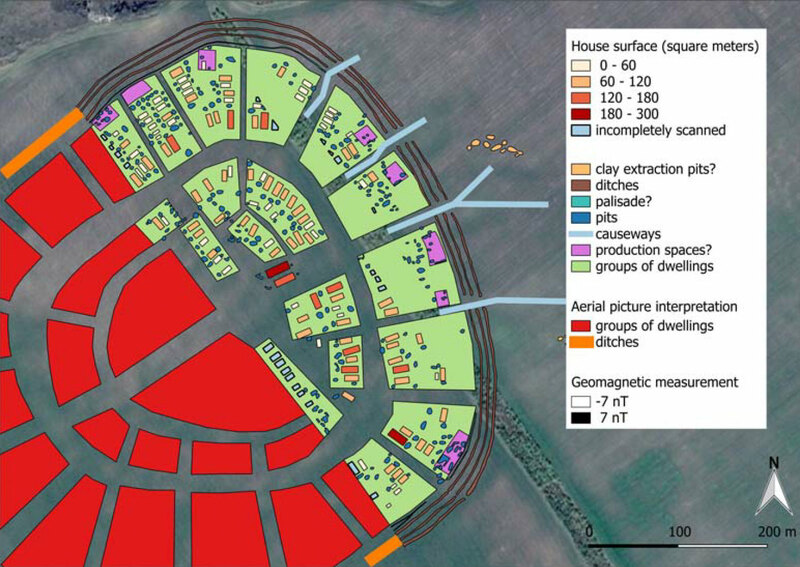 Geophysical surveys and archaeological excavations already revealed the layout of the settlement, arranged in a circular order with radially structured groups of houses and overall ca. 340 features. Three ditches enclose the area of about 33 hectares. The main target of this year’s CRC expedition is the excavation and investigation of a house structure that includes a kiln representing perhaps the only feature of this kind for the complete settlement. This promises very exciting findings, as this kiln may reveal much about the economic strategies of the past inhabitants of the site.